In an age of digital networks and advanced weapon systems, the Airborne Early Warning and Control (AEW&C) aircraft is more important than ever. 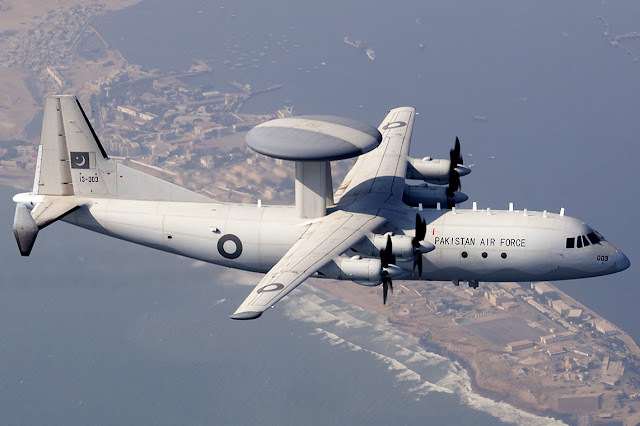 AEW&C is essentially a powerful radar and other sensors mounted in an aircraft so that, when flying at high altitudes, the airborne system possesses all the benefits of mobility and detection range. For example, an aircraft flying at 9,000 m can typically offer radar coverage of a 312,000 km² area. Able to distinguish hostile and friendly aircraft hundreds of kilometers away, AEW&C platforms provide commanders with an overall view of the battlefield to enhance airspace operations, surveillance, command and control (C2) and battle management. When networked with fighter aircraft, the AEW&C extend the sensors of the fighters and give them increased stealth since they do not need to employ their own radar systems. The AEW&C is certainly a true force-multiplier. According to an analyst based out of IDSA New Delhi, Pakistan Air Force (PAF) is more of speed breaker than a major challenge. PAF, however, is in the process of undertaking a major modernization programme. A few of PAF’s modernization programmes initiated earlier are reaching realization with several more in the pipeline. These appear aimed at closing the technology, quantitative, and capability gap with the IAF while hoping to surpass the latter on these 3 parameter. Several recent equipment purchases undertaken by PAF appeared quite baffling at first glance. PAF has ordered similar equipment from different sources. For instance, it ordered 6 (later reduced to 4, 1 destroyed in Kamra Terror Attack) SAAB 2000 aircraft mounted Erieye Airborne Early Warning & Control (AEW&C) systems from Sweden and 4 ZDK- 03 AEW&Cs from China while also placing orders for 4 Hawkeye 2000 AEW&C systems mounted on P-3 aircraft from the U.S. The Saab 2000 is a twin-engined high-speed turboprop airliner built by Saab. It was designed to carry 50–58 passengers and cruise at a speed of 665 km/h (413 mph). Production took place in Linköping in southern Sweden. The Saab 2000 first flew in March 1992 and was certified in 1994. The last aircraft was delivered in April 1999, a total of 63 aircraft being built and 33 remaining in service as of July 2013. In June 2006, Pakistan completed the purchase of six Saab 2000 turboprop aircraft to be equipped with the Saab-Ericsson ERIEYE Airborne Early Warning system. Revised in May 2007 due to renegotiation with the Government of Pakistan, only five aircraft will be delivered, four of which will be equipped with the Erieye system. 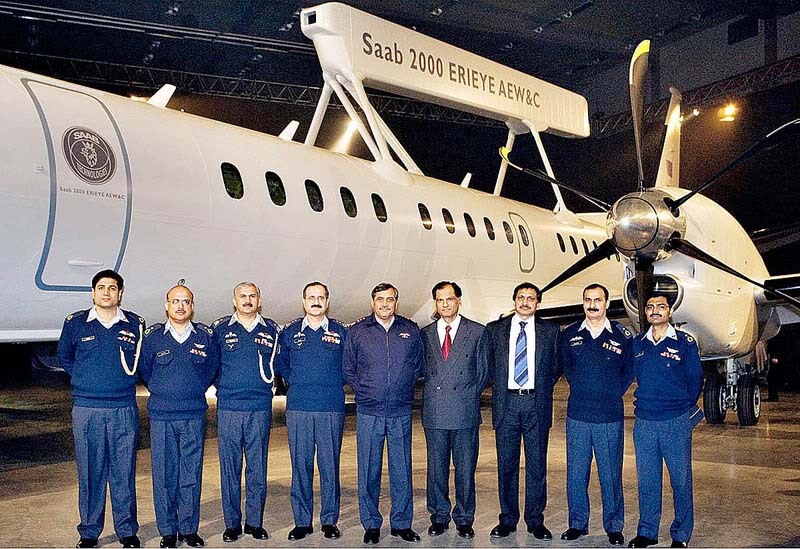 In April 2008, the first Saab 2000 Erieye AEW&C was rolled out and presented to Pakistan Air Force officials during a ceremony in Sweden. The Erieye AEW&C mission system radar is an active, phased-array, pulse-doppler sensor that can feed an onboard operator architecture or downlink data (via an associated datalink subsystem) to a ground-based air defence network. The system employs a large aperture, dual-sided antenna array housed in a dorsal 'plank' fairing. The antenna is fixed, and the beam is electronically scanned, which provides for improved detection and significantly enhanced tracking performance compared with radar-dome antenna systems. Erieye detects and tracks air and sea targets out to the horizon, and sometimes beyond this due to anomalous propagation — instrumented range has been measured at 450 kilometres (280 mi). Typical detection range against fighter-sized targets is approximately 425 kilometres (264 mi), in a 150° broadside sector, both sides of the aircraft. Outside these sectors, performance is reduced in forward and aft directions. Other system features include: Adaptive waveform generation (including digital, phase-coded pulse compression); Signal processing and target tracking; track while scan (TWS); low side lobe values (throughout the system's angular coverage); low- and medium-pulse repetition frequency operating modes; frequency agility; Air-to-air and sea surveillance modes; and target radar cross-section display. The radar operates as a medium- to high-PRF pulse-Doppler, solid-state radar, in E/F-band (3 GHz), incorporating 192 two-way transmit/receive modules that combine to produce a pencil beam, steered as required within the operating 150° sector each side of the aircraft (one side at a time). It is understood that Erieye has some ability to detect aircraft in the 30° sectors fore and aft of the aircraft heading, but has no track capability in this sector. The Y-8 AWACS prototype flew to Pakistan and was evaluated by Pakistani AF in 2006. After some negotiations a much improved design was developed based on PAF's specifications. The variant is now named ZDK-03/Y-8P (ZDK means CETC) and is based on the new Y-8 Category III Platform featuring WJ-6C turboprops with 6-blade high efficiency propellers. It was reported in early 2009 that a total of 4 were ordered by PAF in a $278m contract. Chinese ZDK-03 AEW&C system, dubbed the Karakorum Eagle have an unusual camouflage is modeled on the USAF MC-2A proposal and is optimal for high altitude ISR aircraft (PAF). The system consist of Chinese AESA radar mounted on the Y-8F600 platform The radar is reported to have a greater range than that of the PAF's Saab 2000 Erieye AEW&C radar and the aircraft incorporates open architecture electronics to make future upgrades easier to implement. Delivery of the first aircraft to the Pakistan Air Force begins at the end of 2010. The first aircraft was reported to have been delivered in November 2011 by Pakistani media. 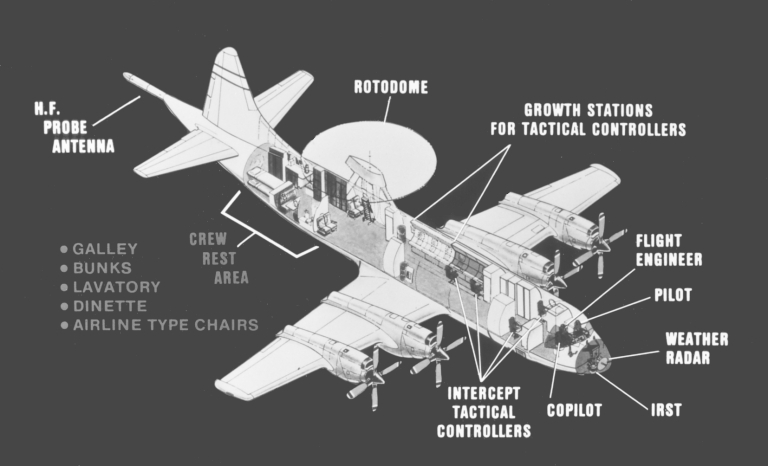 Unlike KJ-200, this variant carries a traditional rotodome on top of its fuselage, with a mechanically rotating antenna inside. The PESA radar is thought to scan electronically in elevation but mechanically in azimuth. Therefore the Y-8 AWACS was speculated to be developed for the export market only as it appears less advanced than KJ-200 which features a fixed AESA radar. However this design does provide a true 360° coverage and carry a cheaper price tag. The AEW radar is the product of the 38th Institute/CETC, but no details are available. The aircraft also features a solid nose with Missile Approach Warning System (MAWS) sensors on both sides, and small vertical stabilizers attached to its tail planes. Another two MAWS sensors are mounted in the tail cone as well. Additional fairings are seen at the wingtips and the tail housing Electronic Support Measures (ESM) antennas. Currently, all four systems has been inducted by the Pakistan Air Force and are being operated by the PAF’s No. 4 Squadron based at Masroor Air Force Base near Karachi. In 2006, The Government of Pakistan requested a possible sale for refurbishment and modification of three excess P-3 aircraft with the E-2C Hawkeye 2000 Airborne Early Warning (AEW) Suite, spare and repairs parts, simulators, support equipment, personnel training and training equipment, publications and technical data, system software development and installation, ground/flight testing of new systems and system modifications, U.S. Government and contractor engineering and logistics support services, and other related elements of logistics support. The estimated cost was $855 million at that time. The deal consisted of 7 upgraded ex-US Navy P-3C aircraft and 2 upgraded versions of Pakistan Navy's own. Out of all this, only 3 aircraft was to be upgraded to E-2C Hawkeye capabilities. The upgrade included Inverse Synthetic Aperture Radar, Electronic Support Measures and communication systems. The first was delivered in January 2007. All Four P-3C were based in Naval aviation base Faisal, Karachi. (Upgraded P-3C MPA and P-3B AEW models equipped with Hawkeye 2000 AEW system). In June 2010, two more upgraded P-3Cs joined the Pakistan Navy with anti-ship and submarine warfare capabilities. Two of these aircraft were later destroyed in an attack (2011) by armed militants at the PNS Mehran Naval Airbase. 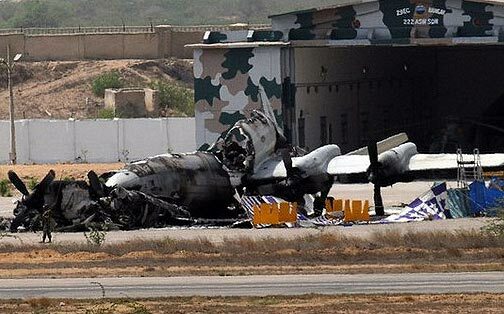 According to media reports just after the attack, U.S. promised to replace the 2 refurbished Pakistani P-3C Orion Sea Control Aircrafts destroyed at PNS Mehran. A number of these reports cite the admonitions of a mixed opinion-news column by the Washington Post's David Ignatius. One the other hand, some newspapers like Pakistan's Dawn were found citing "Diplomatic Sources" as backing for the news about the Orions. But, the backing for these reports remains murky, depending on what they mean by "Diplomatic Sources". 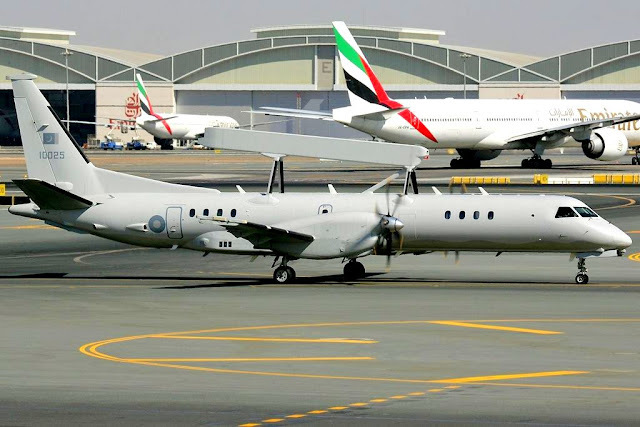 As of today, the PAF is holding an inventory of 7 AEW Systems (3 Saab 2000s and 4 ZDK-03). And, if we especially look at the ZDK-03s, which are expected to serve as the airborne command & control center for the JF-17 fighter fleet currently in service with PAF. However it does not have the secure NATO data link installed to effectively command western fighter aircraft such as American F-16. Therefore ZDK-03 operates together with Saab-2000 in a "high-low" combination in order to coordinate various Chinese and western made combat aircraft effectively. The latest rumor (June 2015) suggested that the AWACS might be upgraded in the future with a fixed AESA radar similar to the one on board KJ-500. The next few years are likely to see greater capability enhancements for the PAF. It must be kept in mind that PAF has never let finances stand in the way of its acquisitions to counter Indian Air Force (IAF), even during periods of martial law, indicating that even the Pakistan Army is fully on board regarding need for a powerful Air Force and is willing to part with funds for the same despite its own needs.